London Fire Brigade won three out of the five challenge areas in this year’s United Kingdom Rescue Challenge – thought to be the largest competition of its kind in the world. More than 600 competitors took part in the two-day event, which was this year held at a specially constructed site near the BT Convention Centre and Kings Dock and Queens Dock in Liverpool. As hosts of the competition, Merseyside Fire and Rescue Service did not enter any teams, but witnessed the London Fire Brigade triumph in three of the main categories – the Rope Challenge, Urban Search and Rescue Challenge and the Trauma Challenge. 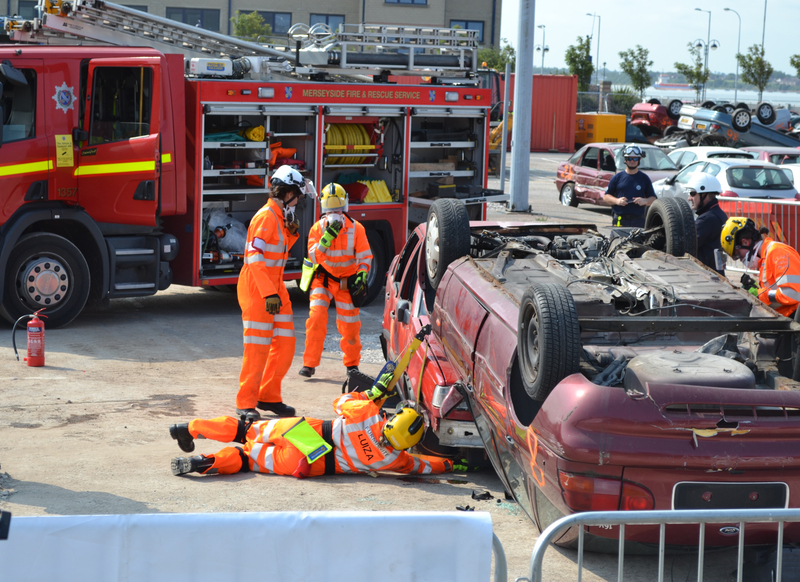 Hampshire Fire and Rescue Service picked up the accolade in the Extrication Challenge, while Norfolk Fire and Rescue Service triumphed in the Water Challenge discipline. Merseyside Fire and Rescue Service Chief Officer Dan Stephens said: “The United Kingdom Rescue Challenge 2013 was a great success. Our staff worked really hard in planning and staging the event. I was at the awards ceremony and told the audience of competitors that they are a credit to the fire and rescue services and really show what professionalism there is in our sector. Many had given up spare time to train and prepare for the event and I was proud to see their efforts recognised. “The Challenge was in a great location and the public visited the site and spoke to our officers about fire and road safety during both days.